Funeral services for Nancy Rose of Baudette, MN will be held on Monday, January 21st at 11 AM at Cornerstone Assembly Church in Baudette. Visitation will be one hour prior to the service at the church. Interment will be at the Graceton Cemetery. 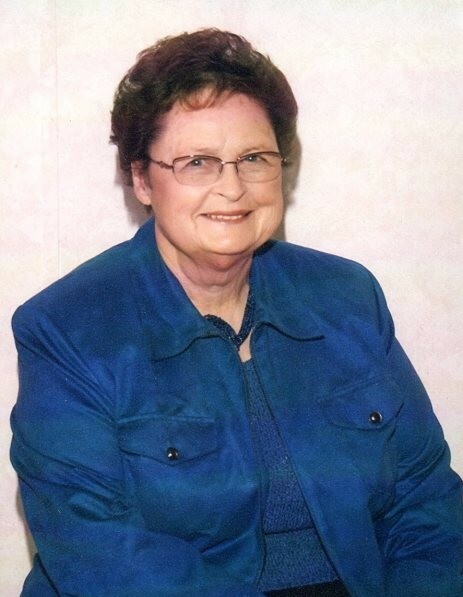 Nancy Lou Rose passed away peacefully on January 16, 2019 at the LakeWood Health Center at the age of 80. Nancy was born on August 18, 1938 in Ranger, Texas to Beatrice (White) and James Frederick Strong. She moved with her family to Ft. Worth, TX at the age of eight. She met Ray M. Rose Sr. while he was stationed in Texas and were married on January 31, 1953. They moved to Rolette, ND to farm and later moved to their home farm west of Baudette, MN. Together, they operated a grain, dairy and beef farm. In addition to her work on the farm, Nancy worked as a Nurse’s Aide in Rolette and Baudette; and at Marvin Windows for 19 years. Nancy enjoyed visiting with people, gardening and planting her flowers in the spring. Her strong faith and dedication to her church were evident in her life. Blessed be her memory. She is survived children, Randy (Lori) Rose, Ray (Sandy) Rose, Donna (Ray) Lofgren, Benita (Russell) Baron and Merrilee (Seann) Hawkins; 14 grandchildren; and many great-grandchildren. She was preceded in death by her parents; husband, Ray Sr.; brother, James; granddaughter, Trudy; nephew, Jim and niece, Kim.